So, another long period of silence in this blog – that means only that I have been busy with my first and true love, the print version of Kaleidoscope! Here’s some info about the issue itself and also little presentations of those five bands if you are still hesitating to buy this zine. Remember – this blog exists because of the zine, so support the zine and you ensure the future of this blog! The next issues of Kaleidoscope will be short ones: five bands and five interviews, made in a well-known Kaleidoscope style. This issue – #12 – will be the first one, and others will follow, sooner or later. 24 pages, size A4, black and white, rip-and-paste layout. Price three euros / a piece + postages. Labels can ask for wholesale prices and possible trades. The first thing that shake my world in Dolentia’s Sob a Égide das Sombras album was the first track, instrumental called Chamamento: “What? Did I put an Urfaust record to my player?” This opener has that same ritualistic stomp what these demonic Dutchmen use, but this album is about many other things, and more. Raw and ghoulish black metal gets tangled with almost post-rock-influenced guitar wailings, and the whole album reeks of old corpses, old ruins and old memories. “Under the aegis of shadows”, says Google Translator when I type the album name to it. Sob a Égide das Sombras is a ghastly album, but through this interview I understood that it’s not just about ancient ghost stories but more concrete things in Portuguese culture and history. Québecois black metal isn’t a so rare and unexpected term what you could imagine anymore. Bands like Akitsa and the label Les Productions Hérétiques have made their own share that this province in Canada and black metal go well together – and why not, they both are dealing with being an outcast, as Serpenoire of Maléfices says in this interview. Musically Maléfices is combining his Canadian roots to Scandinavian and French legacy of black metal and including lots of atmosphere in the mix. Two demos out, Maléfices has proved that it’s the band you should keep your eye on. Read the first words of these cruel rites from this very fist interview. Is it possible to praise Reveal even more? One of the best “original traditional” death metal bands, Reveal made its way to my personal top five of 2012. Well, the band itself says that Nocturne of Eyes and Teeth is a black metal and hard rock album, so I just advice to buy this album, be it death metal, black metal or something else. This interview was published in Terrorizer originally (not by me) but I decided to give it a new life in Kaleidoscope. Reveal deserves it. “We have very versatile musical backgrounds, but one common denominator is the love for music that is either filthy or obscure (or both! ), be it Beherit, Unholy, Autopsy, Winter or something not at all in the metal field such as German Oak, Present or Heldon”, says VV in the interview made for Metal Ireland (http://www.metalireland.com/2012/12/12/uncreationist-interview/ ). So like Reveal, also Uncreationist is hard to categorize – “blackened doom death”, they call their creations. This Finnish trio has only one demo out but there was so much to swallow – music, lyrics about ouroboroses and the end of the world, the general bleak-as-hell atmosphere – so there weren’t any difficulties to make a lengthy interview with the band. I guess this interview has become more current now when the news about The Devil’s Blood’s retirement has reached everyone. The seriousness and honesty of this ‘retro occult rock’ wave have always been unstable in the eyes of critics but in my opinion it’s just a genre among other genres – some bands rule, some bands don’t. Year Of The Goat rules, and although their debut album Angels’ Necropolis didn’t fulfill all my expectations, it is still a solid rock album, with occult or without it. I had a nice chat with the guitarist Per Brodesson. 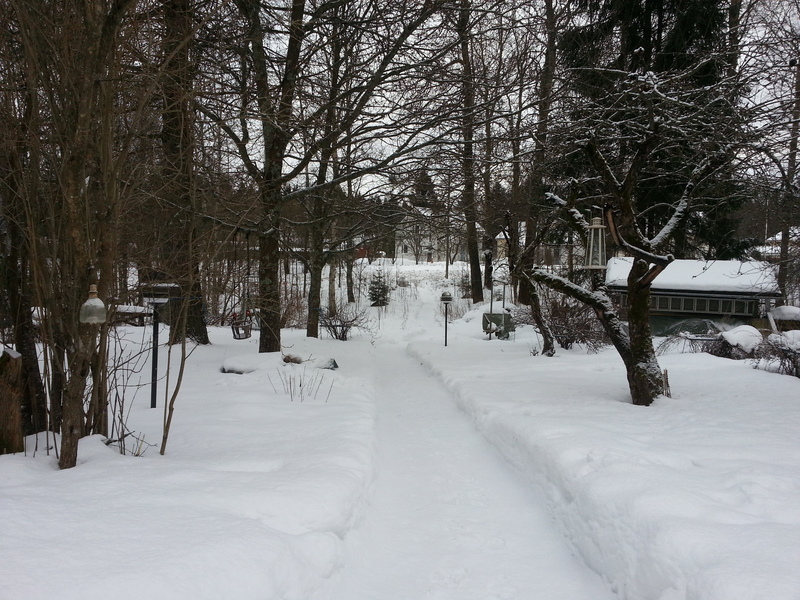 So, a new year and old tricks (but a new angle to our backyard!). Again, there will be these “The Chosen Three” lists once in a month, and this year’s opener is concentrating on Scandinavian black metal. And why not, winter is holding its grip tightly here in Finland and these three releases have backed my mood perfectly. I hope they do the same to you. Here’s the album I have waited for a long time. Vemod’s part in Vemod/Klage 7” (2011) was a nice taster, as was Vinterilden demo from the same year. But the real waiting started when the band published the title track of this album some months ago: a meandering journey of hypnotic and freezing black metal and ethereal ambient, which kept its atmosphere and power through 13 minutes. This track is still maybe the best work from this Norwegian duo. But this doesn’t mean that three other tracks of Venter på Stormene would be weak. In general I have to say that this album is same time very natural and very ambitious. 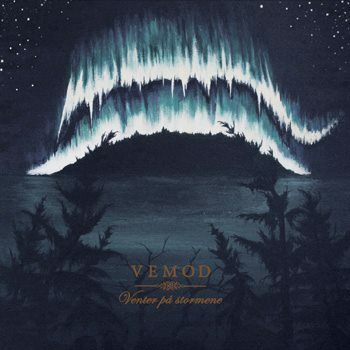 The perfect dialogue between cold and stabbing metal mantras and dreamy synth parts is one thing, but Vemod also shows that it can nail an interesting ambient song (Altets Song) without any lack of passion. Also the closure, Å Stige Blant Stejerner, doesn’t play safe its fuzzy sound and repetitive nature – ambient turns to metal, metal turns to ambient, until there aren’t any real borders, just a general feeling of this impassioned music. All this will be transformed to a live experience, when Vemod will seize the stage at Nidrosian Black Mass IV festival in February. J.E. Åsli, who is in charge of string instruments, explains how this transformation will happen. – To enter this new dimension as a band and a musical entity demands a new focus and a new way of thinking and planning. We are leaving the “safety” of the recording room and the known framework of the release, which has been our only way of communicating until now. We do, of course, have to adapt and appropriate our material into the live setting. Slight rearrangements will occur. We are doing our very best to carry the atmospheric elements with us in the transition. There is also a lot of ideas concerning the visual appearance, although we will keep it quite basic at first, and then perhaps expand and integrate more of these ideas at a later point, as experience is gained and we have a more concrete feel about the whole thing. – Furthermore, we are of course rehearsing with a full band, something we haven’t really done before. However, our live band is composed by four solid individuals with a considerable live experience to their own. Through our union something new and very interesting is born, in the context of Vemod. I have a great feeling. We are working on a few more dates for 2013, Prague Death Mass and Beyond The Gates being already confirmed. – Most important of all is the mental preparation. It is a matter of focusing all our energy towards a common goal. In this sense, the process can be compared to the creation and recording of an album after all. In the end, what matters the most is the amount of passion and constructive power we feed into the thing. In that regard, I have the utmost faith. Let it unfold. It’s hard to take this as a demo. The length is one thing – 11 songs and 58 minutes – and now, when this has been released again in a nice double vinyl format, it feels even more a professional album. But the biggest and most important thing is the music. Grifteskymfning (don’t make me type this under the influence) has released an actual album in 2009 (Djävulens boning), but this “demo” wipes it away. Sir N., also known from brilliant Dödfödd, has a magic touch. 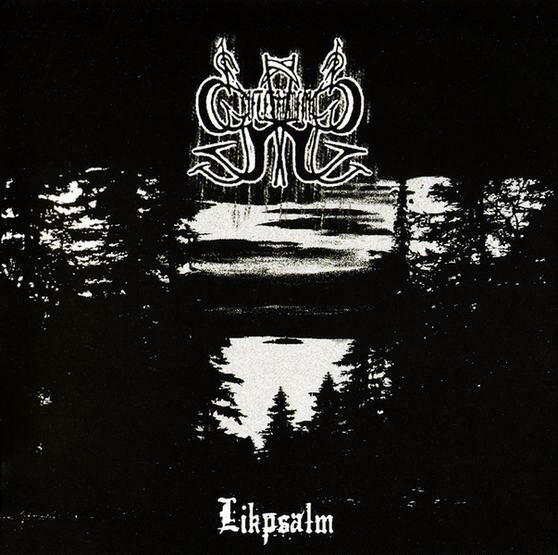 You could label Likpsalm as just ‘Scandinavian black metal’, but the biggest comparison for me is old Emperor and its dreamlike darkness and bursting atmosphere. Songs have their own tricks and turns, but also lots of repetitive melodies which create images of a wide night sky. Also the quiet moments hit hard like in Djävulsandar och Helvetesgastar, but mostly Likpsalm is humming through billowy and comprehensive soundscape. There aren’t no synths in Likpsalm (albeit the intro), only layers of screeching and humming guitars, weaving its icebound webs on the rumbling drum patterns. Only clear flaws are the vocals which drown too much into the background, and the fact that Grifteskymfning could have used more those mellow backwaters in their songs. But if you’re after something genius, atmospheric, dark and still dynamic, here’s an album for you. Sorry White Medal, I like you too, but Slægt steals the show here. After strikingly raw demo this Danish one man act creates Lysets Død, an epic 7-minute song, which starts like an aggressive old school piece of black metal but then settles down to crawling, almost sad funeral march. Both parts are in a fine balance, and the emotional charge is so strong in Slægt’s music that it freezes your soul. Although Scandinavian black metal has its own legendary albums and songs, Lysets Død proves that this flame is still rising high. I hope great things from Slægt in the future. 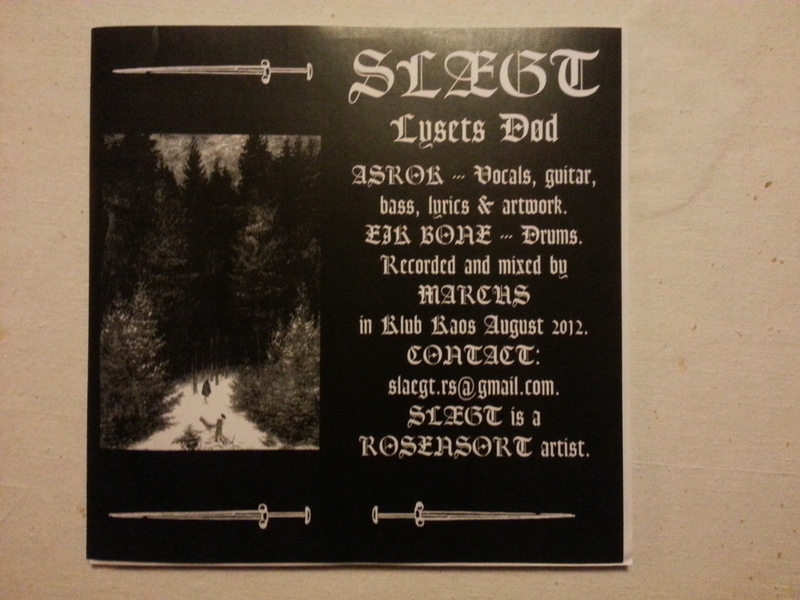 – I discovered Slægt after buying their demo cassette from an underground distribution a few months ago. As soon as I pressed play on my cassette deck, I understood that this wasn’t just another demo. This one was going to be a highlight. I played that cassette over and over and wasn’t able to stop because the songs were mesmerizing. 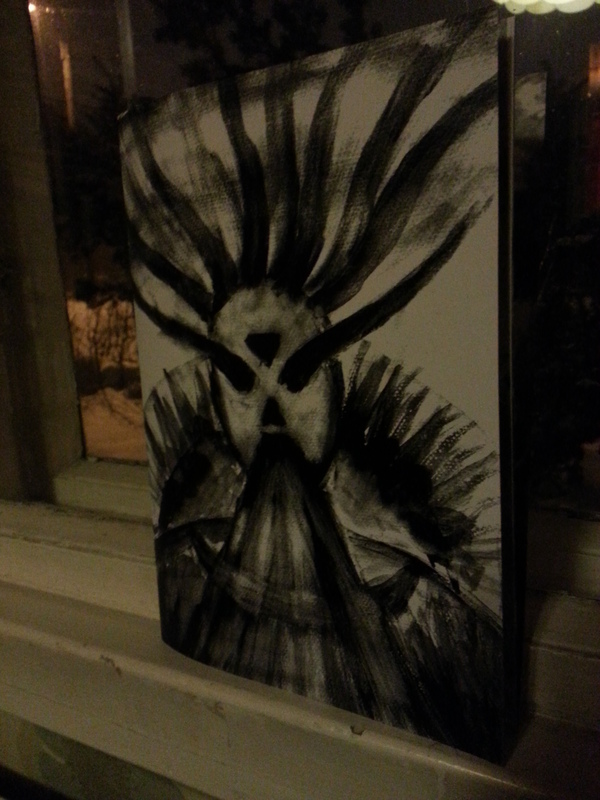 Needless to say, once I discovered that Slægt had new material out, I did what had to be done. I managed to get it in my hands as soon as possible. Again, Slægt managed to pull it off and composed an incredible song of black netal magic, achieving to reach the cult northern sound of the mid-nineties without sounding like just another copy-cat. In fact, Slægt have a totally distinct sound of its own. I never knew a proper Dannish sound per se, perhaps Slægt is the definition of it.